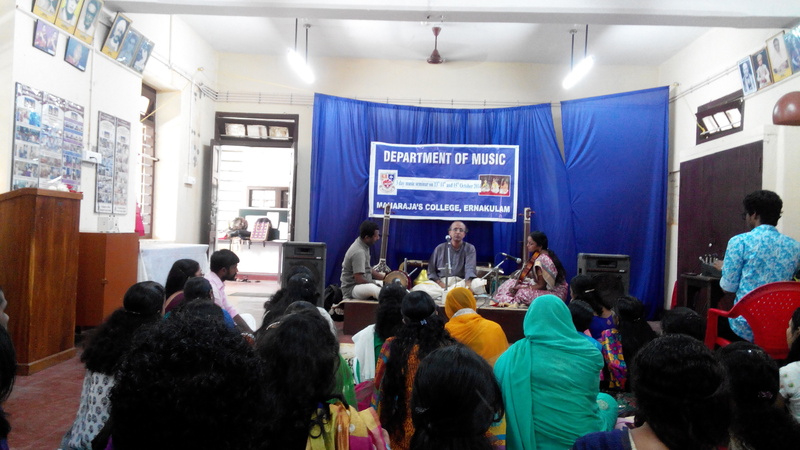 Mavelikara P. Subramaniam started learning Carnatic music from his parents, S. Padmanabha Iyer and Mavelikara L. Ponnamal, at the age of seven. He joined the Sree Swathi Thirunal College of Music, Thiruvananthapuram, and passed Ganabhooshanam and Ganapraveena with the first rank. He later underwent training from his maternal uncle Mavelikara H. Ramanathan. He received the Central Government scholarship for advanced training in music and had the good fortune of coming under the tutelage of the famous vocalist Mavelikara Prabhakara Varma. He is a graded artiste of All India Radio and has a teaching experience of nearly three decades. Prof.Subramaniam is blessed with a resonant voice, and has unflinching devotion and commitment to the core values in classical music. He is immensely fascinated by the great GNB’s music and its aesthetic content. His presentations are lively, bhava oriented and energetic packed with perfect sruthi, clarity and diction. The swara prastharas are highly imaginative and spontaneous with unique sancharas replete with the essence of raga. He takes special care to preserve traditions of Carnatic Music and this is vividly essayed in each of his Concerts. Special mention has to be made with regard to the choice of krithis in his concerts in respect to Composer,Language and Talam. His wide range of repertoire also has some rare compositions and rare ragas. With his illustrious musical lineage, meritorious teaching experience and sterling performances for the past three decades, Prof. Subramaniam has carved a niche for his soulful music rendered with utmost dedication and devotion. Prof.Subramaniam received the best singer award from Sri Krishna Gana Sabha, Chennai, in 1984 and the first Chembai Vaidyanatha Bhagavathar Memorial Award for the best young vocalist in 1996.